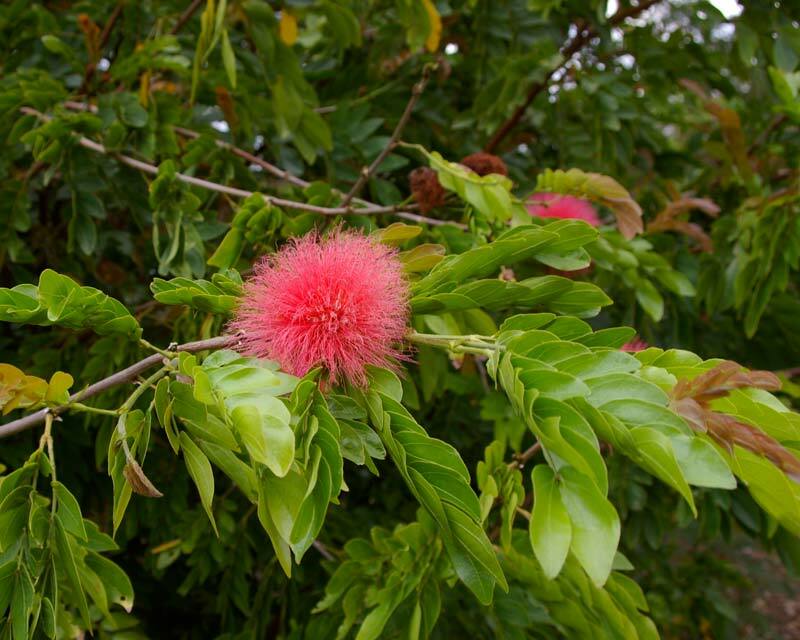 Common name = Red powderpuff tree". Gorgeous shrub, very common around Cairns. Does anybody know if this tree grows well in Sydney, near coast? (I think I have seen it here somewhere). Yes.....Easy! 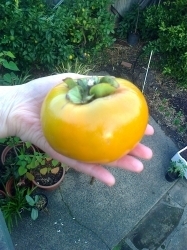 Calliandras will grow well in Sydney. I have Calliandra Tweedii in my garden which flowers almost continuously year round with amazing crimson red flowers, except for now in mid winter. It looks identical to C.haematocephala so I don't know what the difference is. I had it sent by a seller in Bundaberg but they don't usually show it on their stocklist. 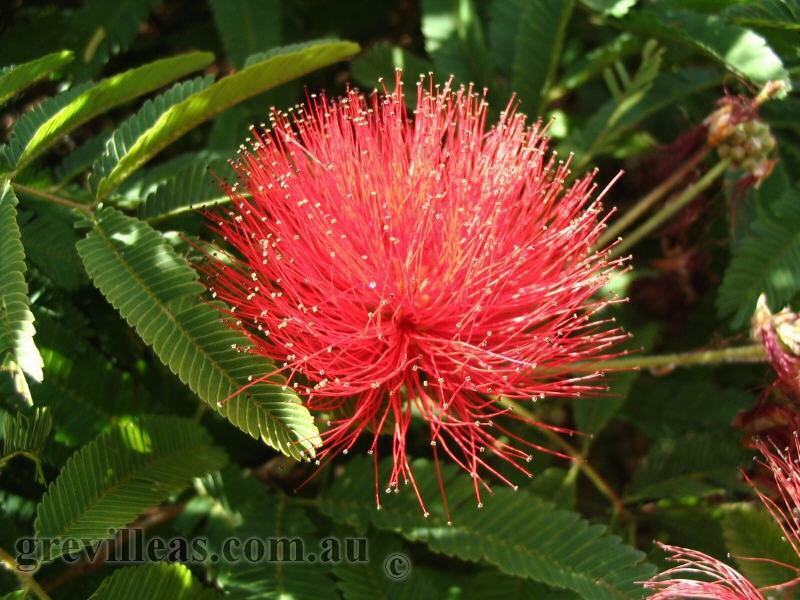 The Melbourne Botanic Gardens has a large Calliandra tree which is often in flower also with bright red flowers. Then there is a nursery near Gosford that has C.haematocephala listed for about $16.00 in 20cm pot. This is the link for it in case you can't find one closer. Just put Calliandra in the search field and it will come up. They are a terrific tree for the garden, very hardy and not too big. Cheers. Actually I recently found the answers to my own questions when I visited RBG Sydney Botanical Garden. There's a red calliandra flowering at the moment in the RBG Syd right next to the Garden Restaurant. Looks quite unworried by the winter cool. Calliandras are a pest in my neighbourhood and I am always ripping out red and pink seedlings from the biological pollution fest in my neighbours yard.The seeds must last 10 years in the soil. Don't know about Sydney itself, but I got one earlier this year at Wyee Nursery - up past Gosford. A white one, but they did have pink & red also. Some years back I had a pink one in Byron Bay, it was there when I bought the place and parrots loved it (so did possums - got rid of them by wiping ammonia on the windowsill) but it didn't seem to be doing any damage. It was about a metre out from the house wall, and wasn't classed as a noxious weed up there. Just saw the rest of the posts, what I bought was an actual plant about a metre high. Can't remember what it cost but wasn't too dear. The Calliandra in your photo was a great choice. It is Calliandra Tweedii. It is a beautiful small tree. 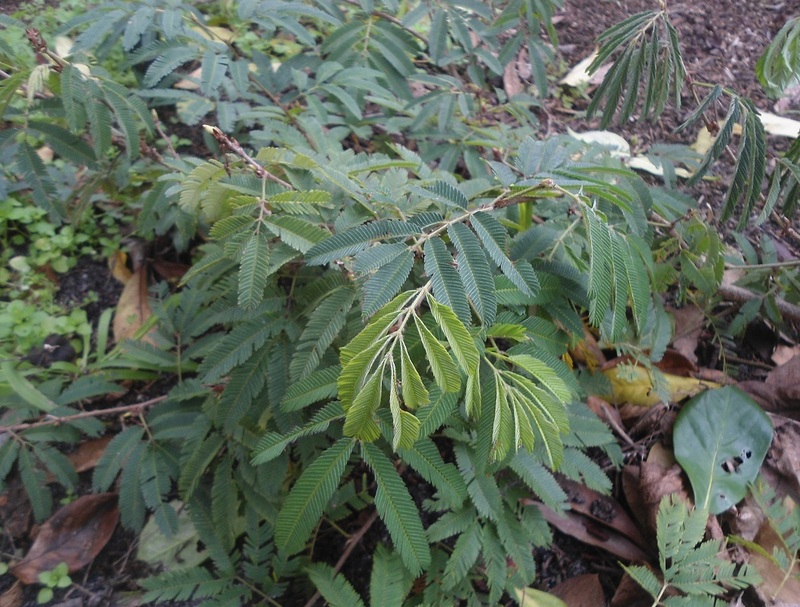 The other variety Calliandra Haematocephala is similar but the leaves are bigger. Tweedii has tiny, really mimosa-like leaves. The flowers on tweedii are also slightly different, with tweedii looking more delicate. It's grown from tube stock to about 1m so far, and has flowered a little. I have found a few around here (Willoughby in Sydney). The shrub grows ok, but I'd have to say that the flowering is much more impressive in the many that I've noticed around Cairns. Interesting that they survive the Penrith winter cool.